I don't often try new restaurants soon after they open, primarily to avoid the ridiculously long lines and because I like to wait until the restos are out of their "best foot forward to make a great first impression" phase, so I was surprised to find myself at The Palazzo in Eastwood with my close friends from work just two weeks after Project Pie opened its new branch there. I had already heard about the pizza place before. 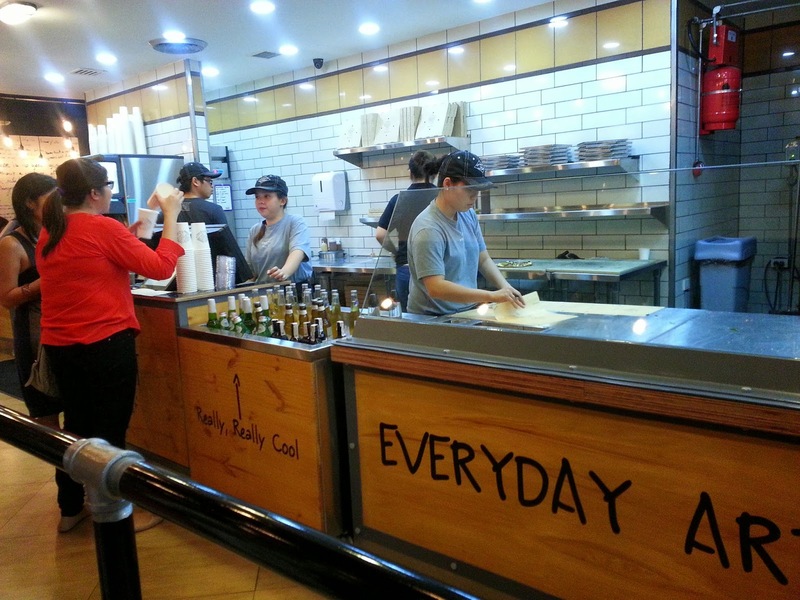 It’s “everyday artisan pizza custom built by you,” as how James Markham, the American pizza entrepreneur whose brainchild Project Pie is, wants it to be. But is the pizza dough itself artisanal, or is it called artisan pizza because you get to have it exactly how you like it? I personally don't care, as long as I get to enjoy good food. 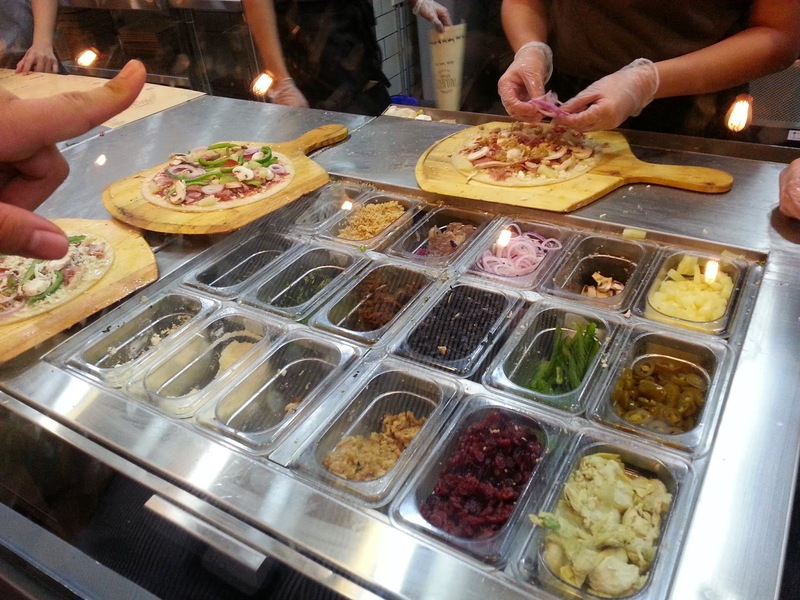 Project Pie seems to be a hit with Filipinos, as just two years after its inception in 2012 it already spawned four branches in the Philippines, which is more than the number of American branches there currently are. But I didn't know about any of this until now. That Tuesday night we went to the new Project Pie in Eastwood, all I knew was I was famished and that with my hunger level I could probably consume an entire order of pizza. You can tell a lot about an establishment by their choice of font for their name or logo. I like Project Pie's new logo and I respect them for not using Papyrus or any other font that comes with Windows by default. 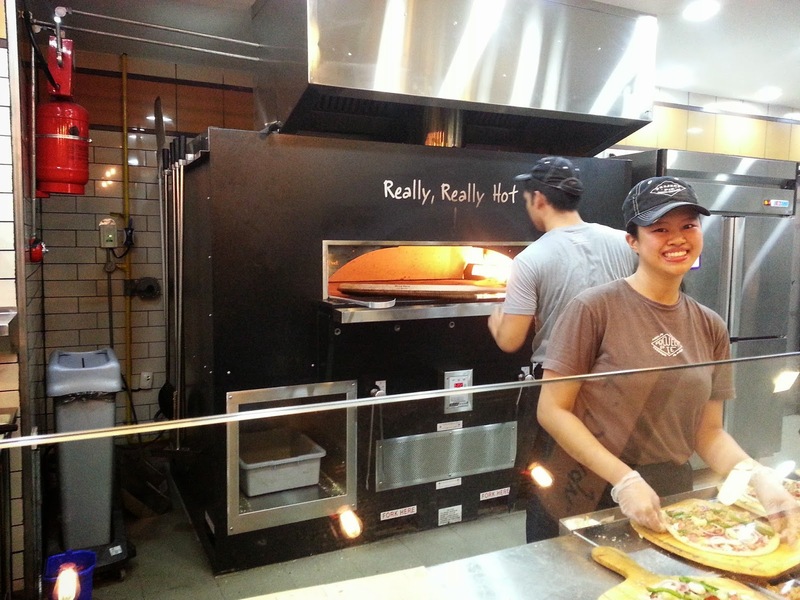 The different wall materials and designs—brick; smooth white with quotations in handwritten typeface; tiles—show Project Pie really is not your traditional pizza place. The line thankfully wasn't long, like they always are at J.Co joints even though their stores are no longer new. The kitchen was overexposed, as were the mouths of the staff. The former is okay, for hygienic reasons, but not so much the latter, also for hygienic reasons. 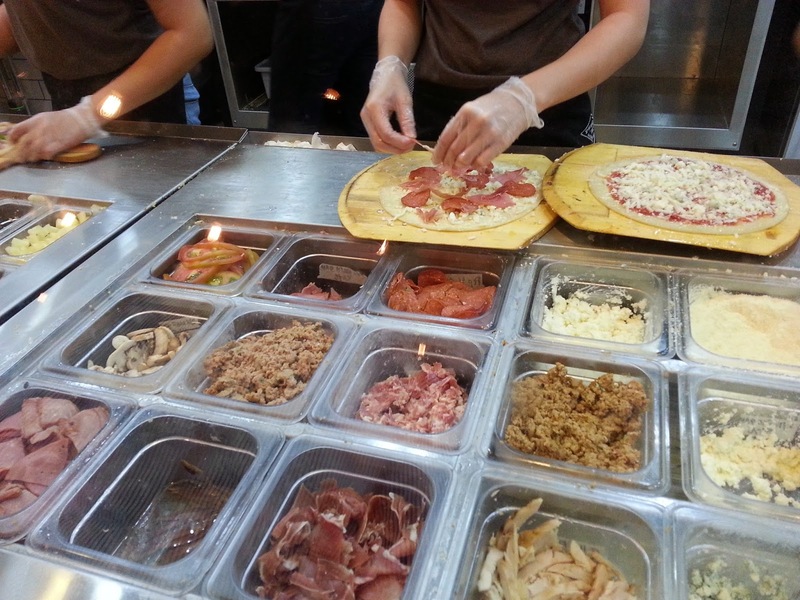 It bothered me a little how they wore no masks while they introduced themselves, explained their individual roles in pizza-making and then gave us our options, all while working on our orders. Good thing they were pleasant enough, like this lady who smiled for the camera even though I didn't ask her. 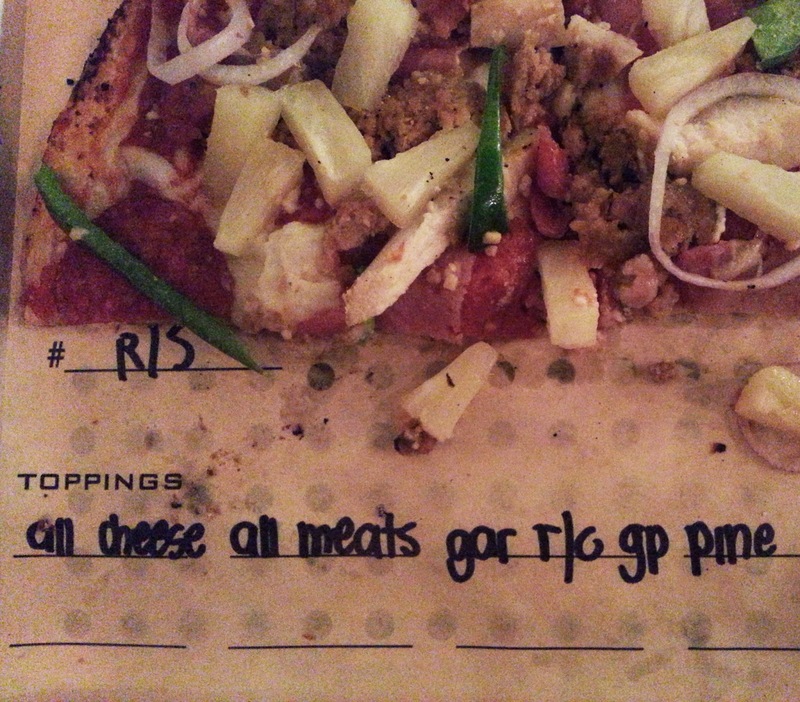 The first thing they do is ask whether you're choosing a preset pizza from the menu or building your own. I chose to build my own pizza, for P285, because what the heck was I at Project Pie for if I was just going to order yet another plain pepperoni-and-cheese pizza! 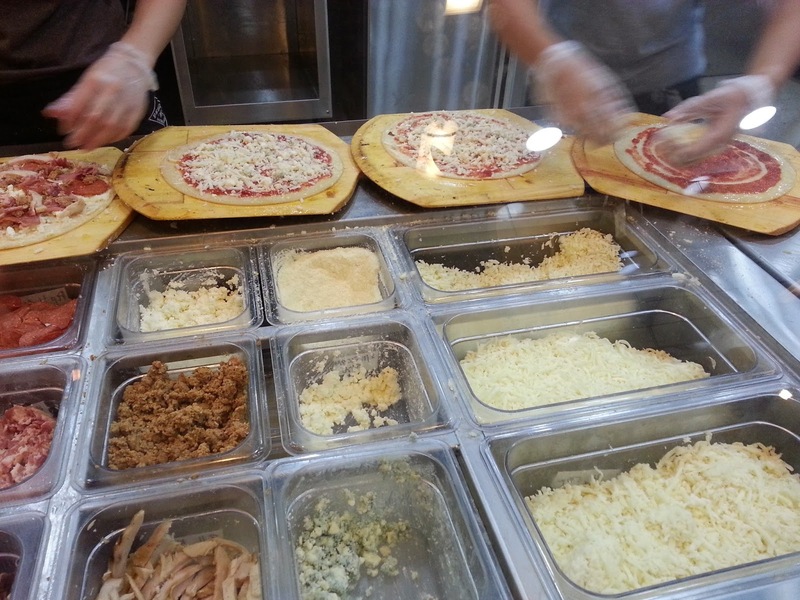 After they get your dough thoroughly machine-flattened, you get to choose from their sauces: either red or white (though you can also opt for just olive oil too). For the cheeses, they have mozzarella, feta, gorgonzola, ricotta and parmesan, and for the meats, they have pepperoni, Italian sausage, crumbled meatballs, bacon, grilled chicken, Canadian bacon, prosciutto and anchovies. Other toppings are red onions, green bell peppers, jalapeños, cilantro, roasted red peppers, tomatoes, caramelized onions, fresh mushrooms, garlic, rosemary, pineapple, artichokes, fresh chopped basil, black olives, pesto and barbecue sauce. 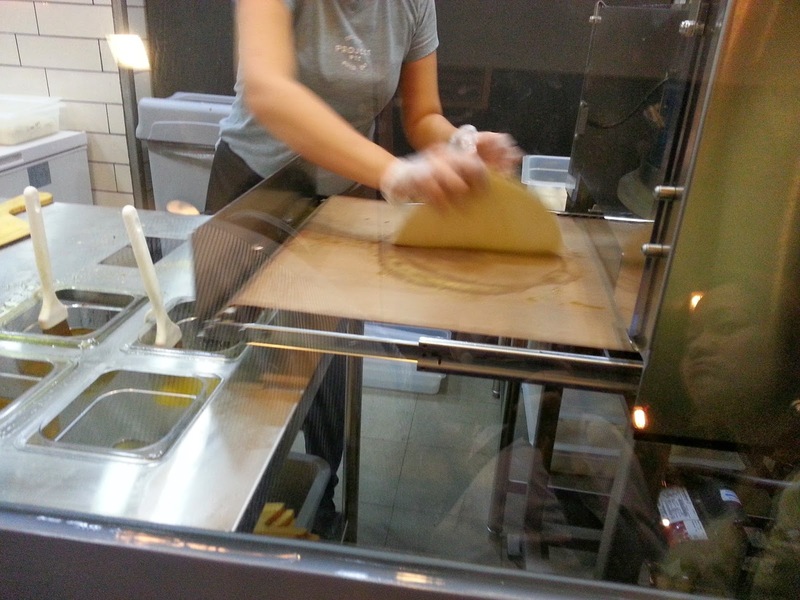 Once your pizza is built, they bake it in an old-fashioned brick oven and then place it on a paper mat labeled with your pizza specifications and your name. Because my friend Daryl recommended it, and also because I was too lazy to point out ingredients one by one, I built a pizza with everything on it, except for jalapeños. 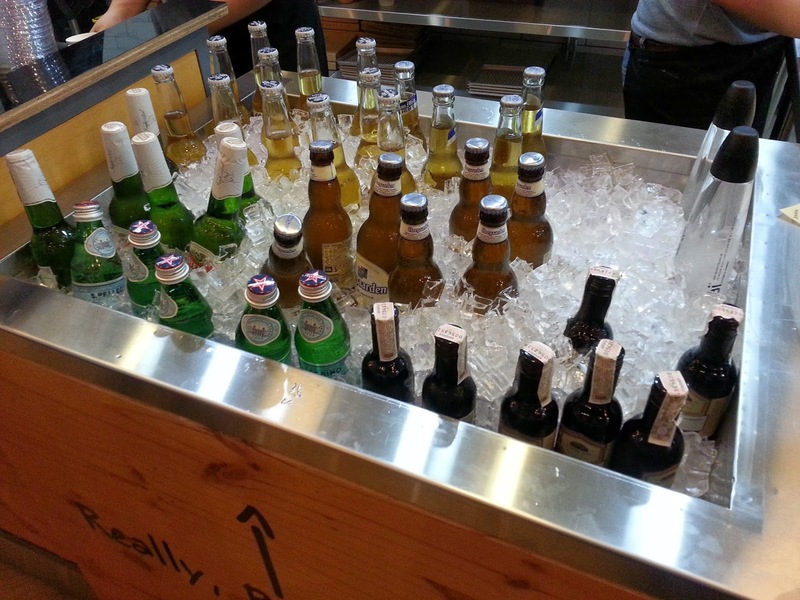 For refreshments they've got bottled beers, wine coolers and water, or you could purchase a cup of soda or juice, refillable up to three times. I read on a blog somewhere that Project Pie had given out a dessert pie, on the house, to someone who once had service issues with them. That Tuesday night, they got my order wrong and had to redo the whole pizza, so I had to wait another ten minutes for it. 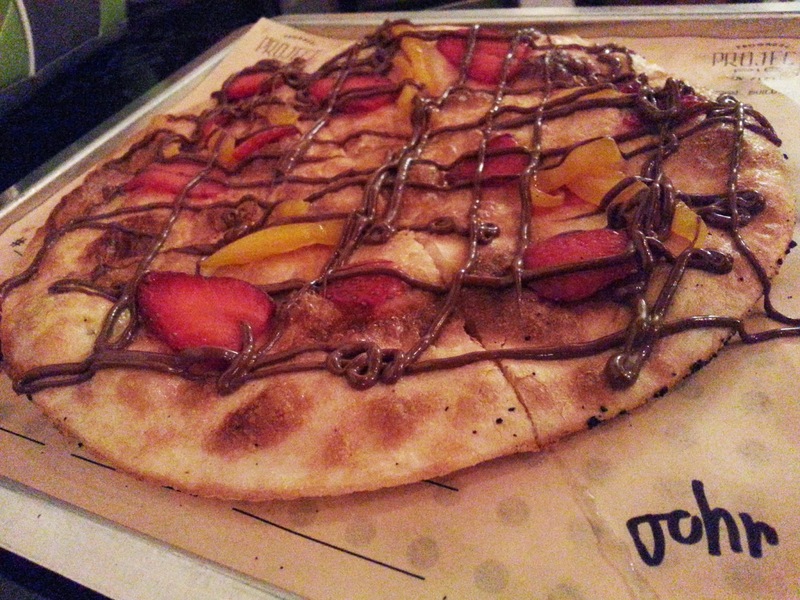 I got a strawberry mango Nutella pie (which was the bad kind of chewy) but not on the house. Despite the order mishap and the bad dessert, however, Project Pie won me over. I've actually been itching to return there and have another whole all-ingredients pizza to myself. Strawberry mango Nutella pie. I give out the name John when asked at restaurants or cafes, because its spelling is easier to get right, compared to Johann or even Mike which sometimes gets misheard as Mark. It's rare that I come up with jokes because I'm generally not a funny guy, but I was able to think of one for Project Pie. 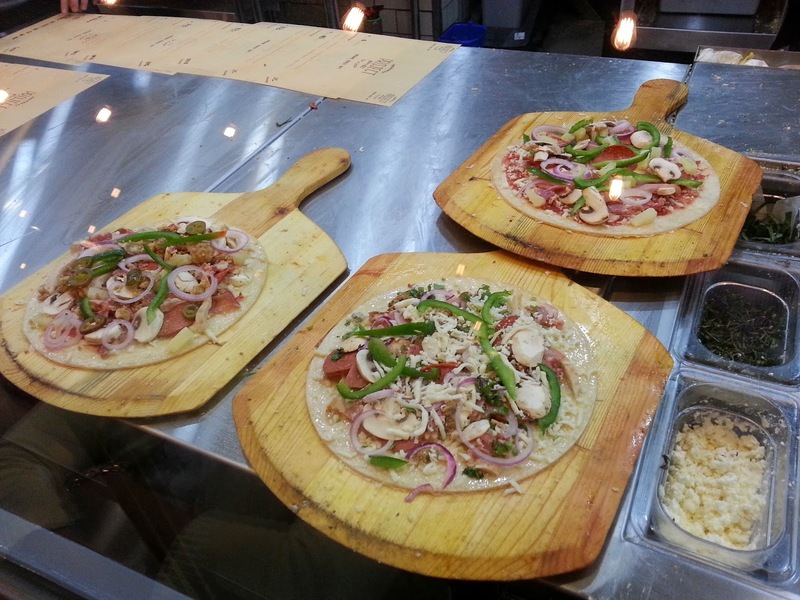 "Would you happen to know where the new Project Pie in Quezon City is? The Palazzo in Eastwood? Nah, it's actually...between Projects 3 and 4." If you didn't get that joke, we can't be friends. If you did and you'd like to tell someone else, you had best do it to math geeks. And Manileños, as there are actual places in Quezon City named Projects 1 through 8. 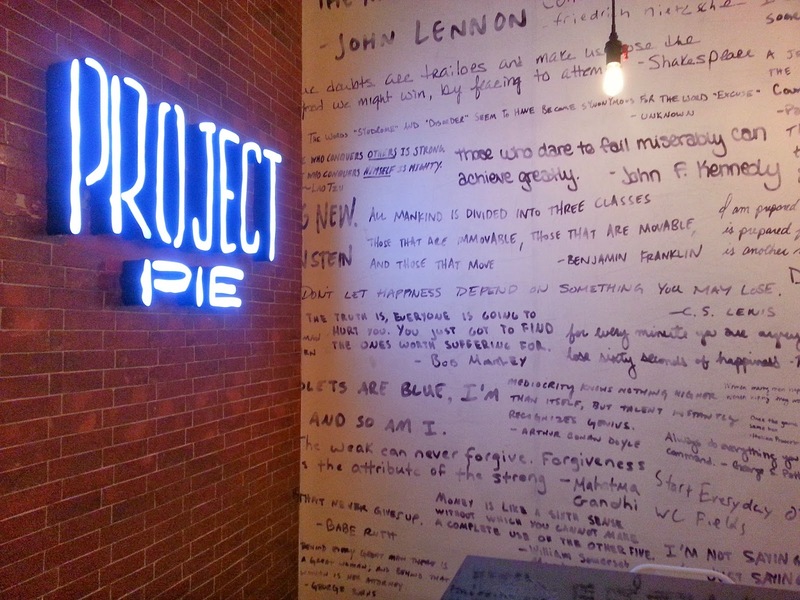 Project Pie in Eastwood City is open from 10 AM to 11 PM Mondays through Thursdays and 10 AM to 12 AM Fridays through Sundays.